Sometimes ago I’ve written about Analytix Pro on Caschy’s blog and today I had to figure out that the update has swallowed the widgets. Too bad, really bad, because the widgets were one of the main reasons I liked the Analytix Pro app so well. Although, the app has still great opportunities for analysis of your webprojects, it’s useless for now, if you just want to have a quick look on your site’s benchmarks. So I started to search again for an alternative and reviewed a couple of Android Google Analystics widgets. Those two, which fitted my needs at it’s best, I like to present you today. The first widget is the GAnalytics widget and which can be found here in the Market. It’s free and ran flawlessly during my testing. 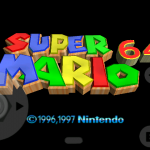 On the home screen, it takes 2×1 tiles to complete. Unfortunately, it isn’t optimized for other tile ratios. What’s the best adsense app for android? For some time I use Google Adsense on this blog. Ok, it’s definitely not the big win, but a penny saved is a penny earned. But how to stay up to date on your Google Adsense earnings? As an Android user I have of course searched in Googles Appmarket and was again disabused that free apps in many cases aren’t inferior to paid apps in any way. But let’s get down to business. The app that I like to show you, to overview your income, is called Adsense Dashboard and can be downloaded for free from the Android Market. 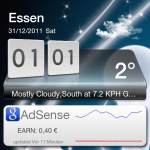 Also aboard is a great widget which can be seen on the left-hand screenshot.